Passengers will soon benefit from the launch of a new budget bus operator in Wrexham. EasyCoach is part of the easyGroup family of brands, led by billionaire easyJet founder Sir Stelios Haji-Ioannou. 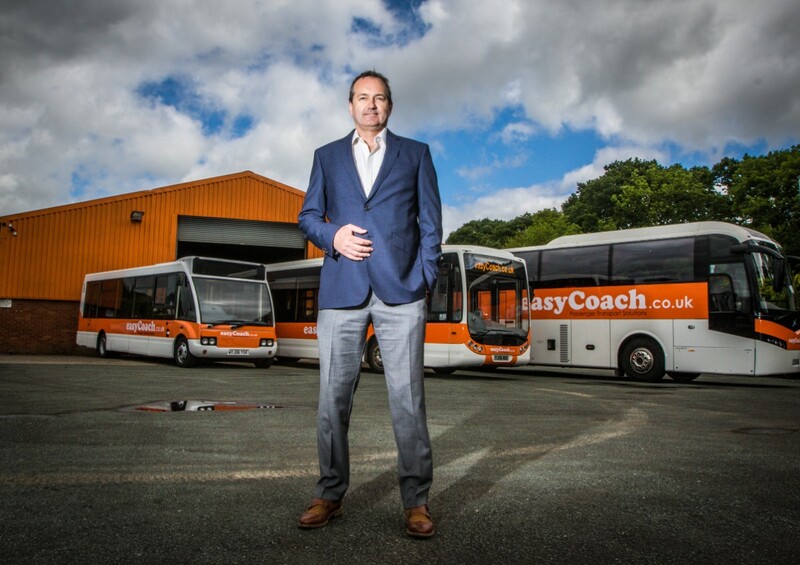 From Wednesday 27 June, easyCoach’s trademark orange and white buses will serve Wrexham and the surrounding area, and the man at the wheel of the enterprise, founder Andrew Martin, is confident locals will enjoy an improved service at lower prices. EasyCoach launches with four main services. Route 2 operates from Oswestry to Wrexham five minutes ahead of Arriva West Midlands. Likewise the 2D Wrexham to Cefn-Mawr will leave five minutes before Arriva’s 2C service. Working in tandem, both easyCoach routes will deliver a service from Plas Madoc to Wrexham bus station, via Ruabon and Johnstown, every 15 minutes. EasyCoach will also reinstate the much-missed Wrexham to Wrexham Industrial Estate bus, operating as route 42. Similarly easyCoach’s new route 44 will offer a service from Wrexham to Barker’s Lane at 30-minute intervals. EasyCoach will also make it simpler and cheaper to get from Wrexham to both Liverpool and Manchester Airports. Andrew’s wife Sarah hails from nearby Shrewsbury, so the entrepreneur, who recently sold his French easyBus business to National Express Group, is delighted to be creating jobs in the local area. So far 10 drivers have been recruited, including one who has decided to come out of retirement. All will be thoroughly trained to provide the best in customer service ahead of the 27 June launch. Work is currently being completed on the easyCoach depot in Rhosymedre, which is being painted orange in keeping with the easyGroup’s instantly recognisable colour. If the Wrexham service proves a success, Andrew hopes to expand into other towns as well.